Kreative Kinderland Preschool follows the Alpine School District calendar. The dark gray boxes indicate no school. 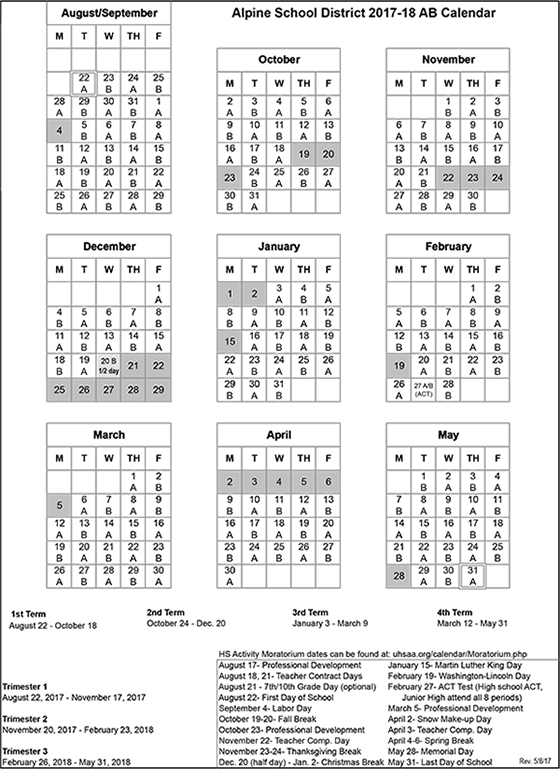 Click here to download or print this calendar. Kreative Kinderland Preschool is a Licensed business in American Fork City and registered in the State of Utah.